1. 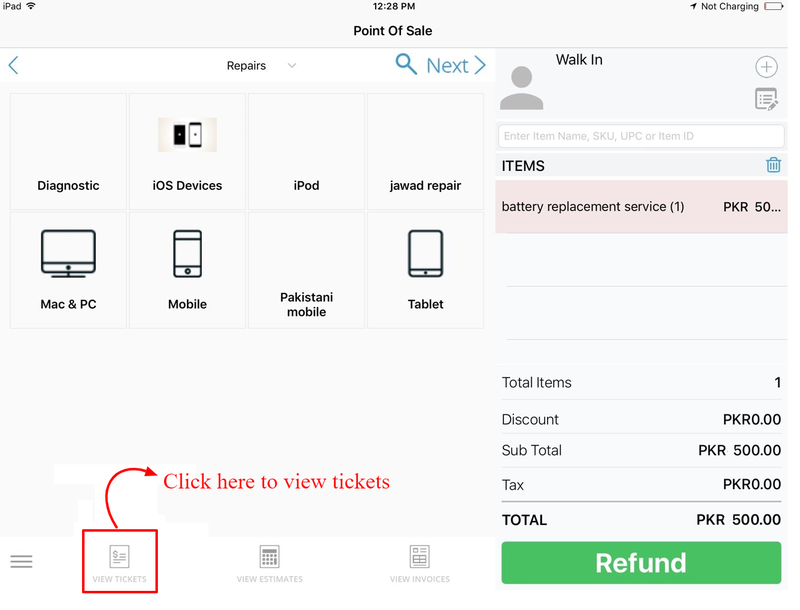 While creating a ticket tap on the details page, tap on the Pre-Repair Device Condition. Following screen will appear on iPad. 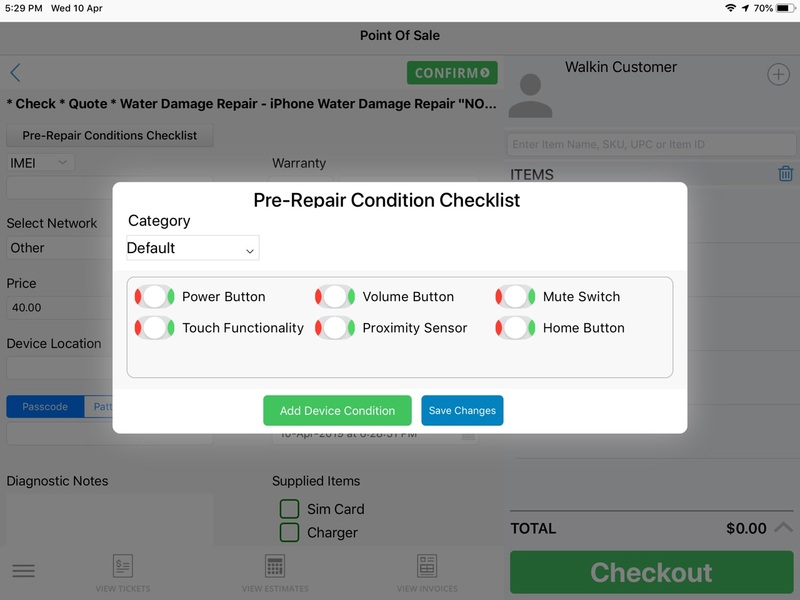 Select category against which you want to mark pre-repair conditions. 2. You can select issues by toggling between working (green) or not working (red) from the given menu or can enter issues on your own after tapping on Add Device Condition. 3. Once you are satisfied with the pre-repair conditions you have mentioned, you can tap on Save changes to save the work. Once the device has been repaired, you will get the post repair conditions enabled on edit ticket screen as shown below. Q. 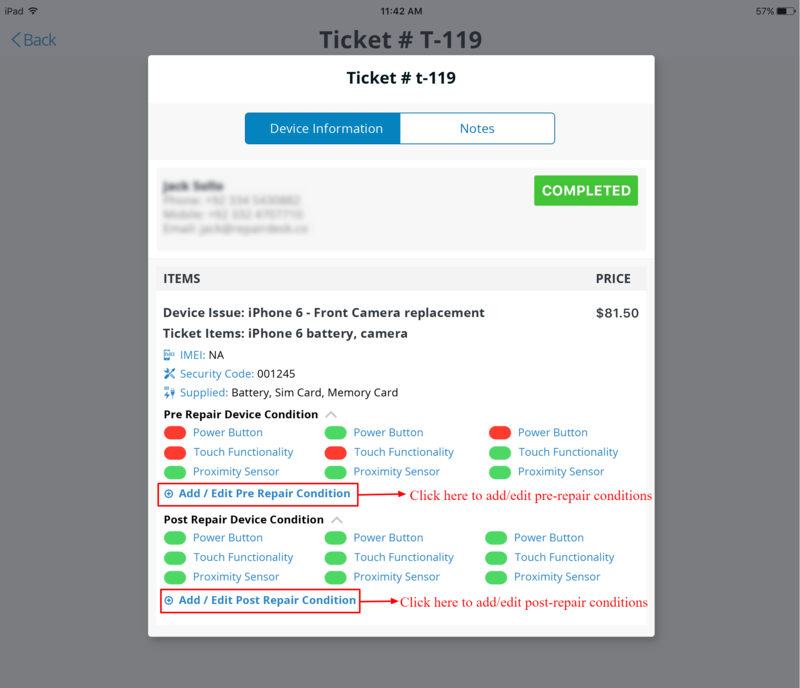 Can I edit pre-repair OR post-repair conditions once I have saved the ticket? A. Yes we have made this possible for you to edit pre/post repair conditions once you have created and repaired the ticket. 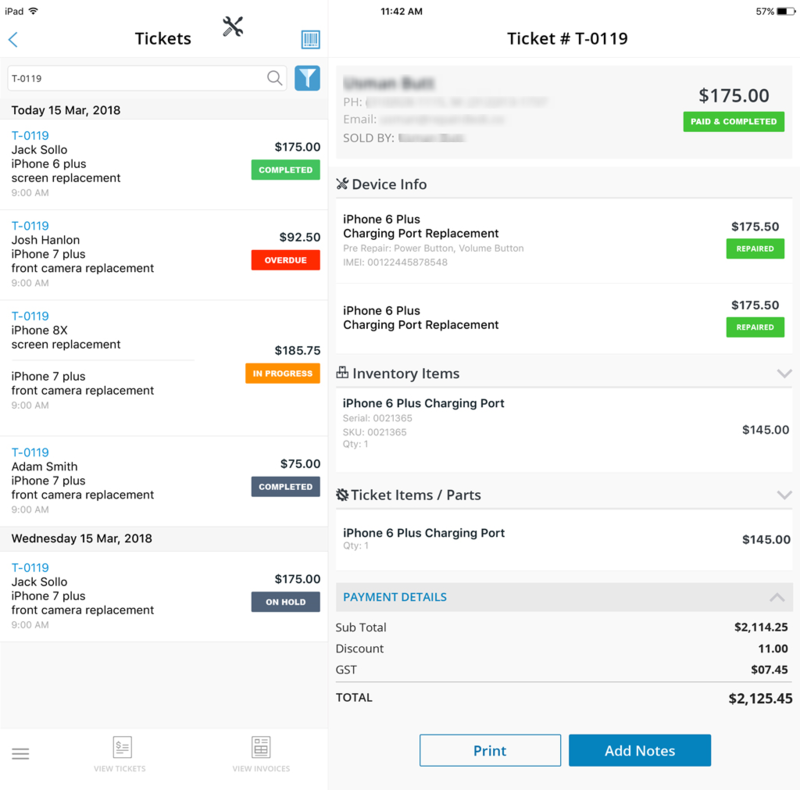 To edit pre/post repair conditions, head to View Tickets and tap on the ticket you want to edit as shown below. By hitting add/edit pre-conditions option, following screen will be displayed where you can edit already set pre-repair conditions. Similarly to edit post-repair conditions, hit add/edit post Repair conditions and you will get following screen to edit or add post repair conditions. Note: You must hit Save Changes button to make sure that changes made to Pre and Post repair conditions have been saved. To add a new device issue, use Device Condition button and you will get the to add new device condition.